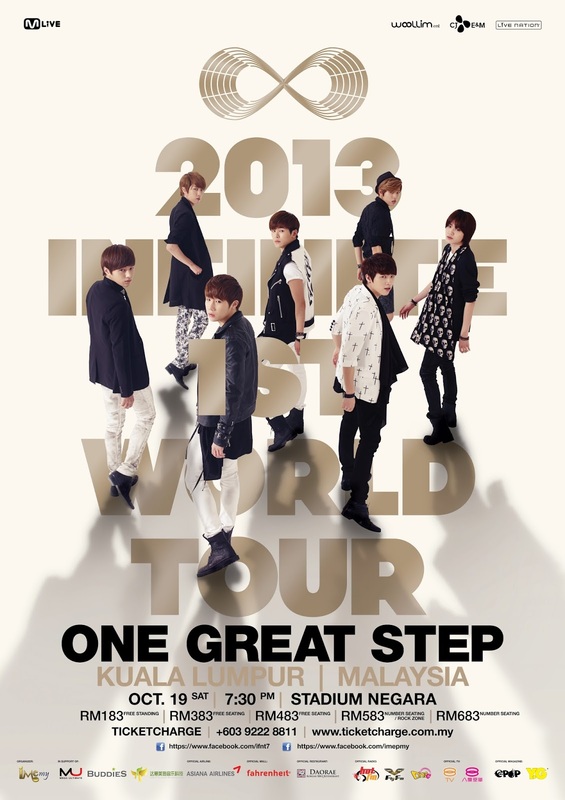 INFINITE is a Korean megastar band who is now at the very heart of the massive popularity of K-Pop. The seven male members (Sung Kyu, Dong Woo, Woo Hyun, Hoya, Sung Yeol, L, and Sung Jong) successfully debuted in June 2010 with their first mini album going straight to the top of the charts. In 2012, Infinite became more popular with ‘Scorpion Dance’ featured in ‘B.T.D’ and propelled into super-stardom with from winning music awards. Following this, they continuously made No. 1 hits, like ‘Paradise’, ‘The Chaser’, ‘Man In Love’ and more.